Wow, what a weekend! Craft night on Friday, two holiday parties on Saturday and a football party on Sunday. 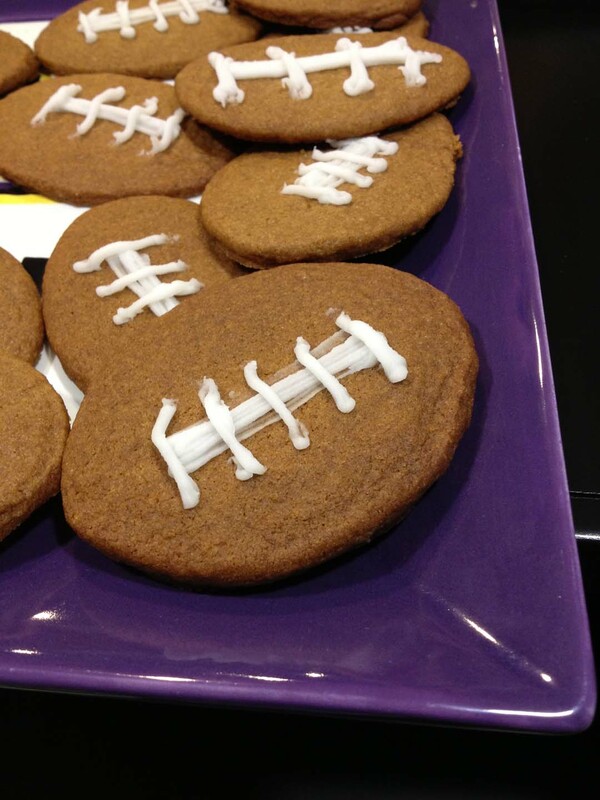 I made the most adorable football cookies for our sad loss (better luck next time, boys!). At least the cookies were delicious. Onwards to the craft! Need a quick and easy holiday decoration that is sure to make your house sparkle and smell delicious? 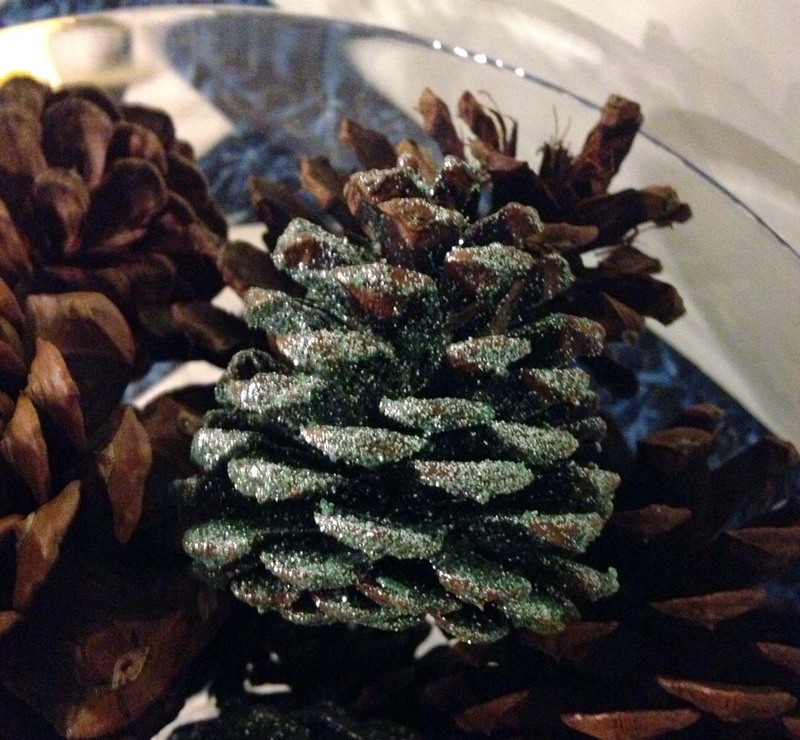 Why not glitter some cinnamon-scented pinecones? That was one of our crafts for Craft Night and it was super fun and messy! 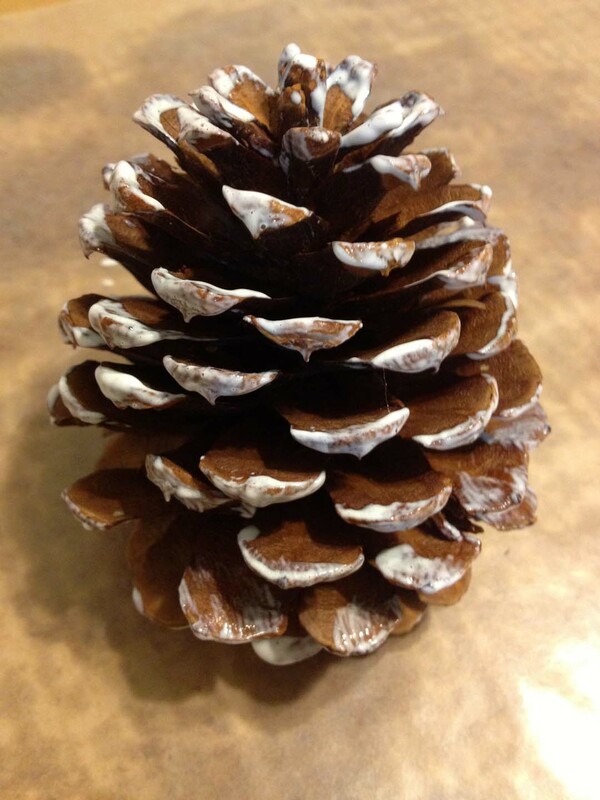 We used Mod Podge and a paint brush to paint the tips of the pinecones. Then we poured, rolled, dusted, etc., glitter onto the edges. 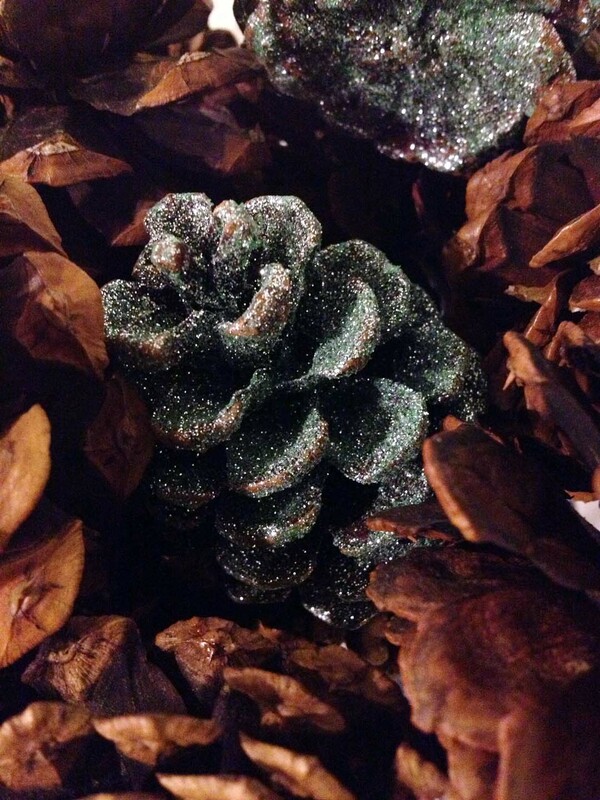 Once the glue and glitter dried, I sprayed mine with Mod Podge sealer so the glitter would go crazy everywhere. 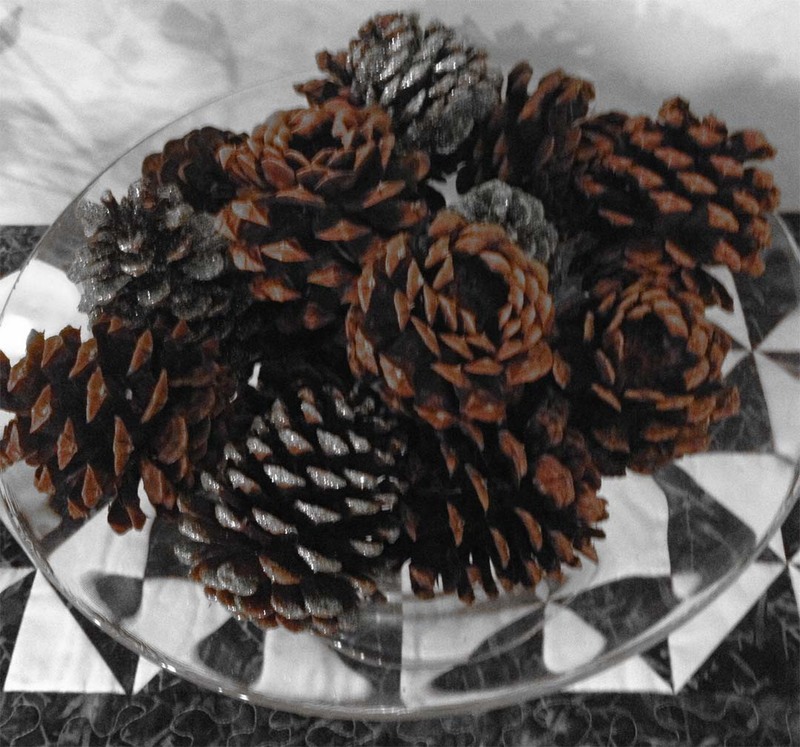 I only glittered four pinecones, and I think it was the perfect pop of aqua in my centerpiece. I’m usually all about green, red, gold and silver for the holidays, but I think the blue looks lovely. I’m doing this tomorrow!! Thanks for a super holiday idea! I love it! Have fun 🙂 And happy holidays! !